The "Psychic Baggage" series explores artistically how negative psychological "baggage" can interfere with intimacy. The complete installation measures 8ft. x 24ft. 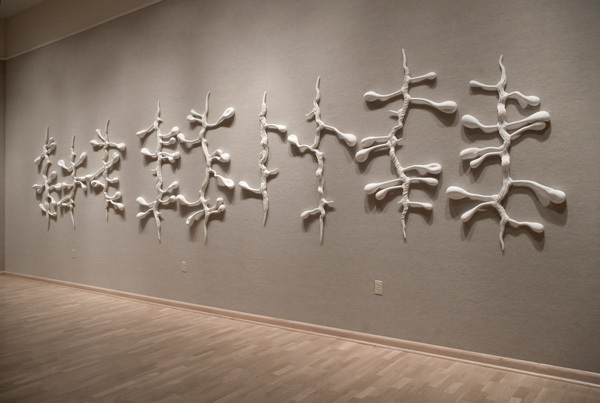 and is composed of white, dry-glazed, earthenware clay.